After two wonderful shows we have returned with BACK TO BACK shows of our newest production LINE. 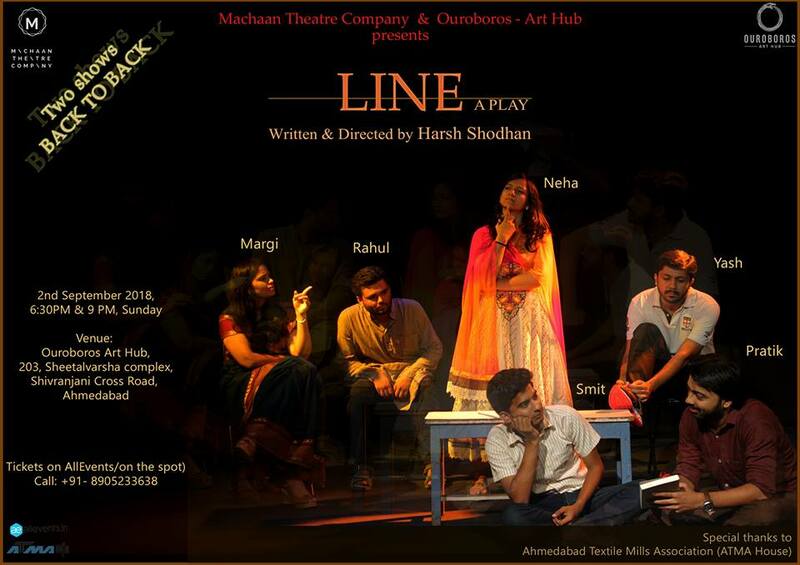 A satirical play on our legendary education system is perfect to make your evening memorable. St. Waynard is recruiting new teachers for its new school. Witness the plethora of emotions & laughter and arguments in the most subtle manner. This time we shall discuss instead of dissecting. Cast – Rahul Kanjariya, Margi Desai, Pratik Nanda, Smit Joshi, Neha Rai, Yash Chandarana.